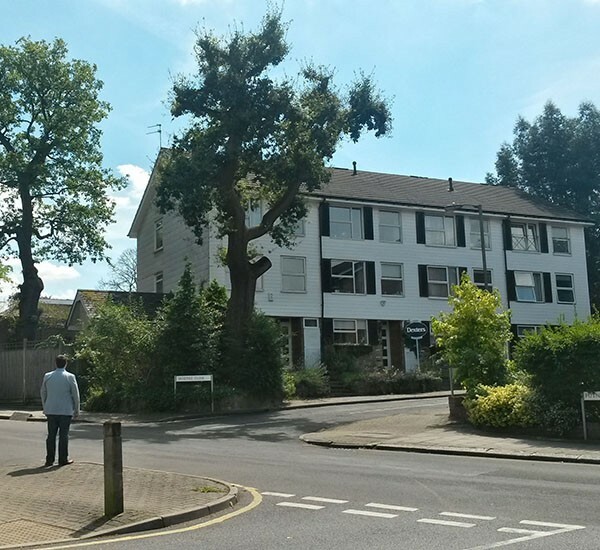 House in Wandsworth, Vandyke Close, SW15 3JQ. 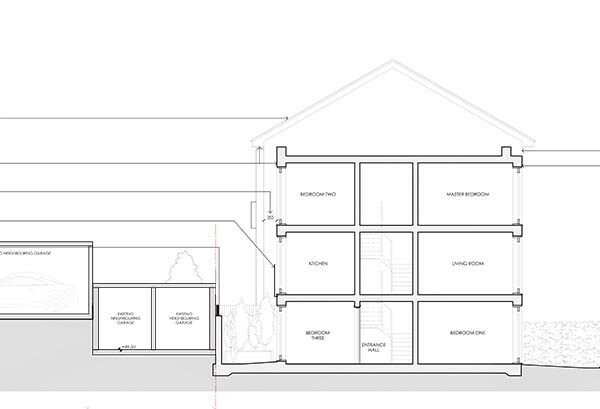 Residential architect 4D Studio, working in Wandsworth, has secured another planning success. 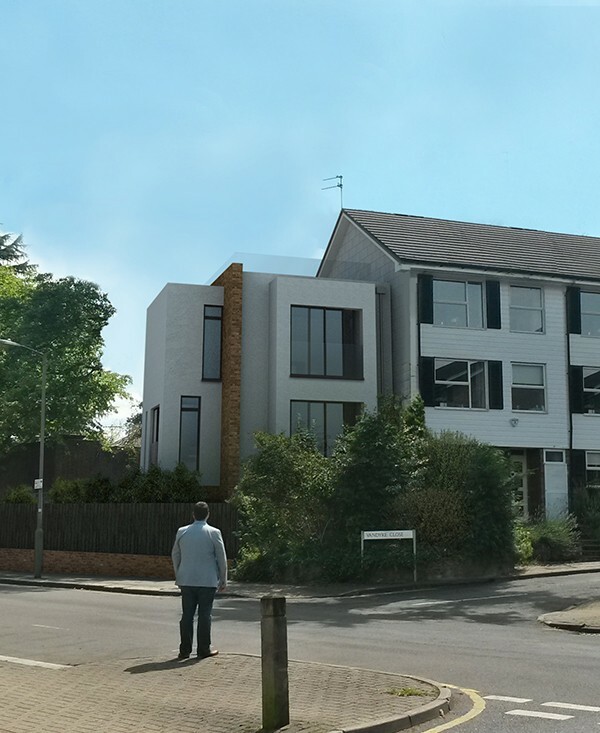 On 12th November 2014 the Wandsworth Planning Committee granted Full Planning Permission for this 138 square meter three storey modern new town house designed by the residential architects at 4D Studio for a site in Vandyke Close, Wandsworth SW15 3JQ . 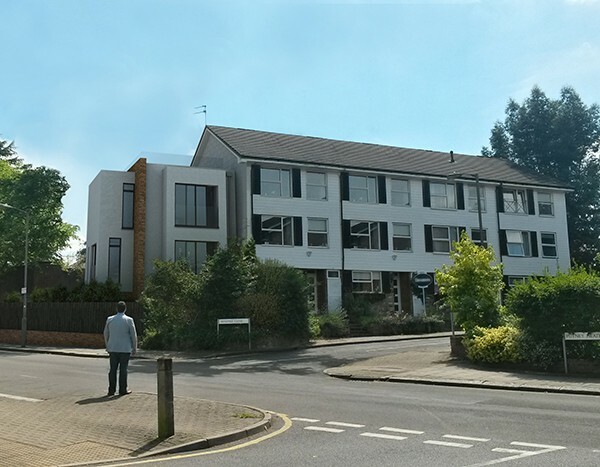 In supporting the planning application submitted by 4D Studio the Wandsworth Planning Committee accepted the principle of development and the erection of a new three-storey dwelling house together with the integration of a new architectural style. 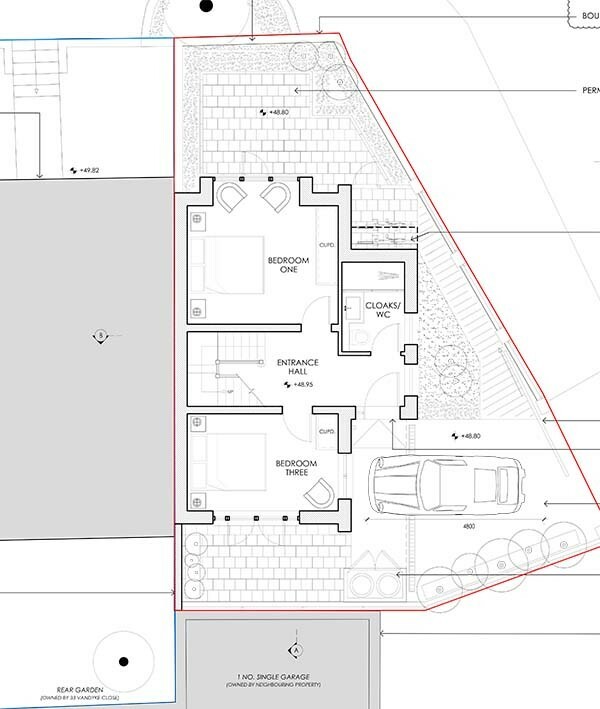 4D Studio’s design for the form and detail of the proposed new dwelling relates well to the surrounding residential area, as well as the unique shape of the subject site. In terms of materials 4D Studio propose a dwelling that will be sympathetic and in keeping with other surrounding dwellings and the committee considered the combination of brick and white render cladding was appropriate and would result in a high quality finish. 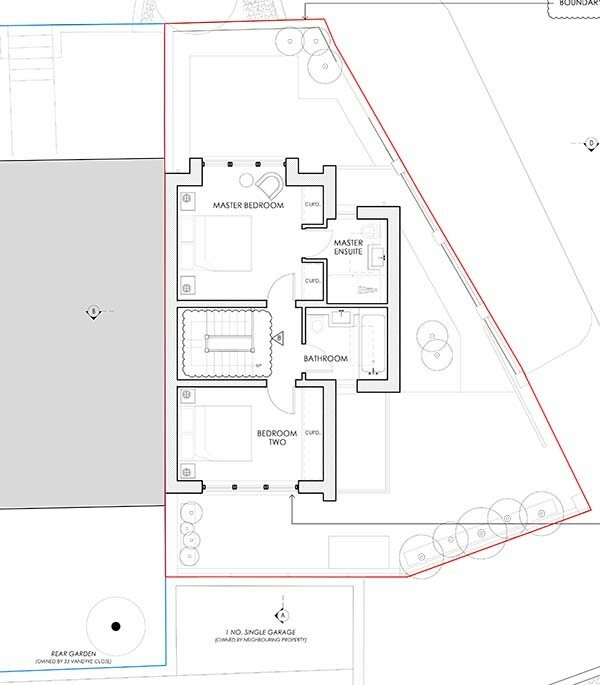 They noted that the Vandyke Close frontage elevation will sit broadly in line with the adjoining terrace creating a cohesive relationship within the street-scape as well as the collective terrace. 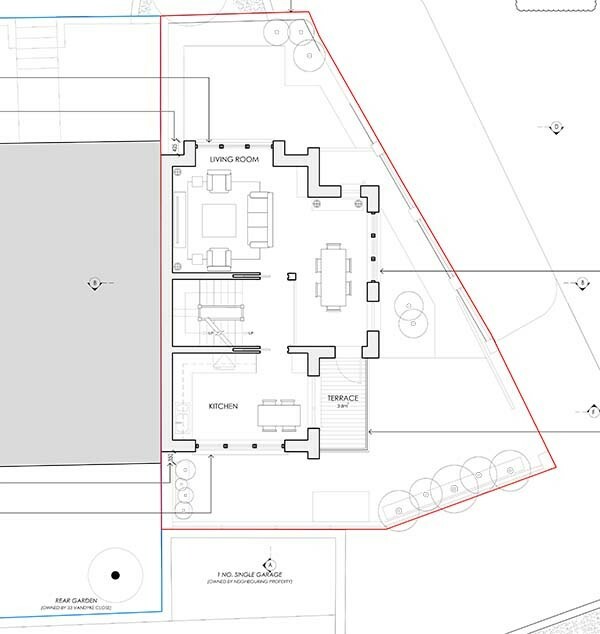 It was recognised that the proposed new dwelling would create a good level of accommodation with amenity and living spaces in excess of the space standard set out in local plan policy with individual rooms exceeding the London Plan Housing SPG room sizes. This is the third Full Planning Permission granted in as many months by Wandsworth for houses designed by residential architect 4D Studio. If you are considering work to your home and feel we can help with planning approval please don’t hesitate to contact us.